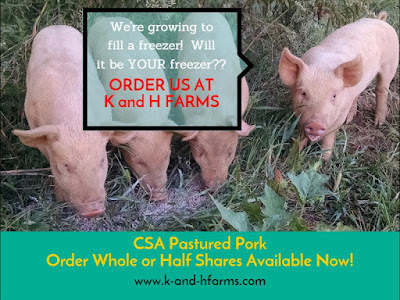 We have 4 CSA Pastured Pork that will be ready for your freezer the end of December to the first of January (weather permitting). 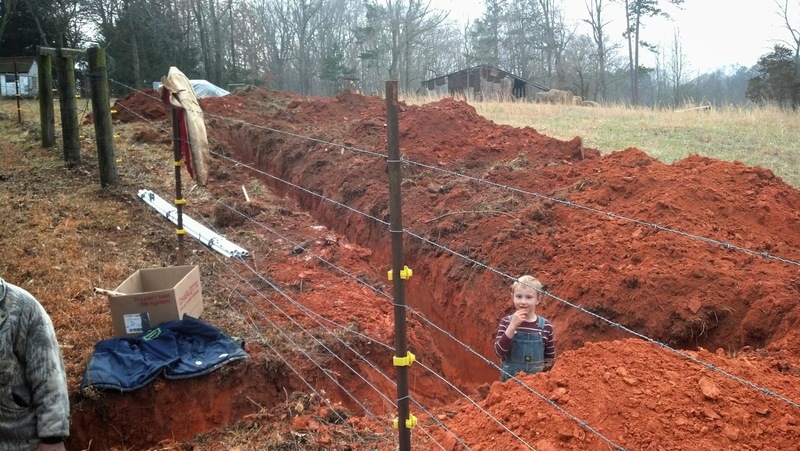 Put your deposit in to reserve your Pastured Pork!! This is a question we get asked regularly and one we love to share with customers. 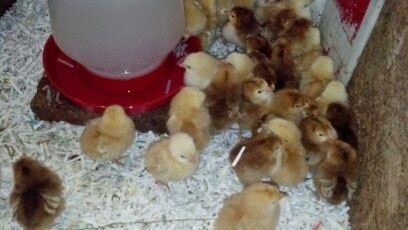 For our broilers, we get in 2 day old chicks from the hatchery. We get an early morning call from the post office telling us its time to come get the chicks. Once we get them on the farm, we take each chick and dip their pecks in a mixer of sugar and water. This mixture gives the new chicks a boost for their first 48 hours on the farm. They will live in the brooder for the next 3 to 4 weeks. In the brooder, we are able to control the temperature to keep the chicks warm and cozy. We introduce crumble feed to them after 48 hours and feed this until the week before going on the pasture. It’s then that we start introducing the pellet feed that they will eat until time for processing. At between 3 or 4 weeks, the cute baby chicks are awkward teenage chicks and ready for more room to explore. So we pack them up and send them to the pasture. 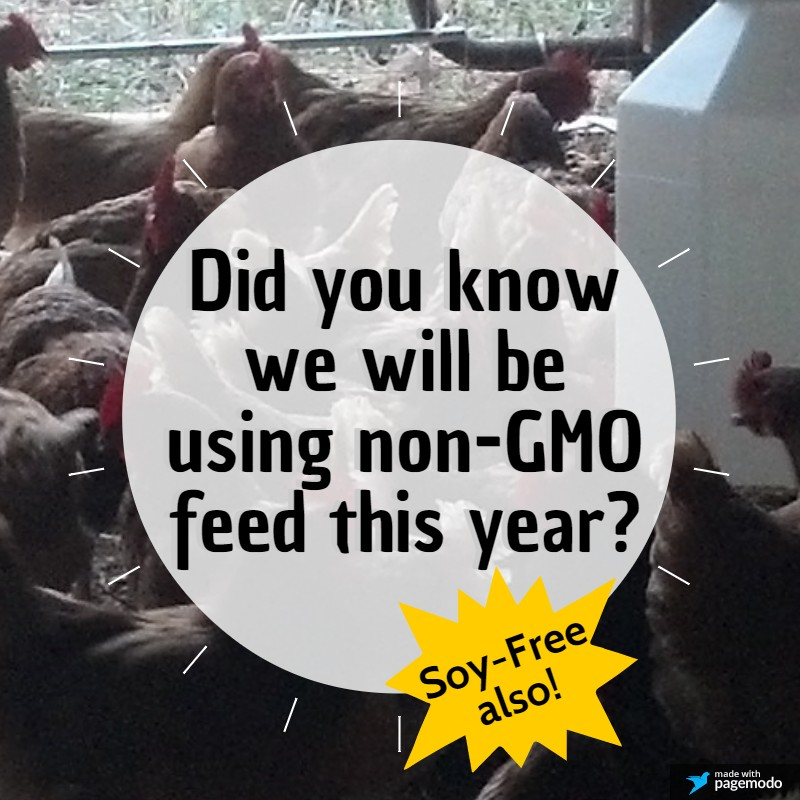 Once on pasture they scratch and feed on worms, bugs, and their non-GMO, non-Soy feed. They are moved daily (according to weather) so that they are on fresh pasture. Moving daily keeps the chicks from constantly having to walk in their own poo, keeping disease down to nothing! Around 9 to 12 weeks, we start processing. 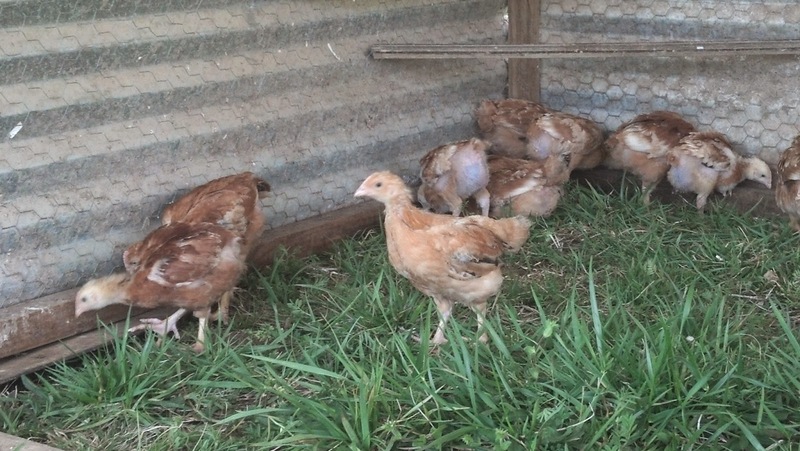 The chickens are now young adults and their meat is mature but still tender for eating. We pack our happy chickens and delivery them to the USDA facility where they are processed, weighed, packaged and labeled. 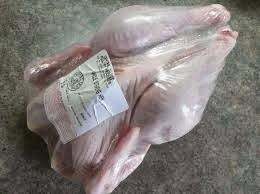 Once they are frozen, we pick them up and deliver to our customers. With fresh water and sunshine, our chickens are happy and active giving our meat chickens a more bold flavor that you can taste! We work hard to make these chickens the best chicken you can put on your families plate. 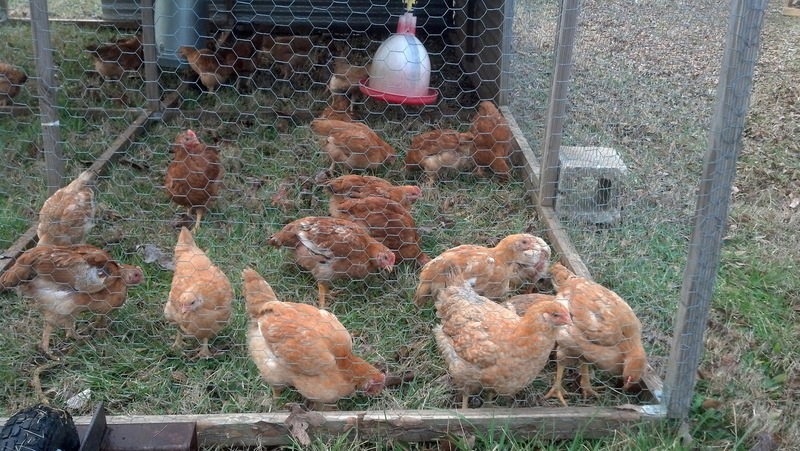 We love to have our customers come and see how our chicken our cared for and the great life they are given. We feel that God has made us caretakers of this Earth and given these chickens for us. These chickens are part of the circle of life that God created for us and we praise Him for His bounty! 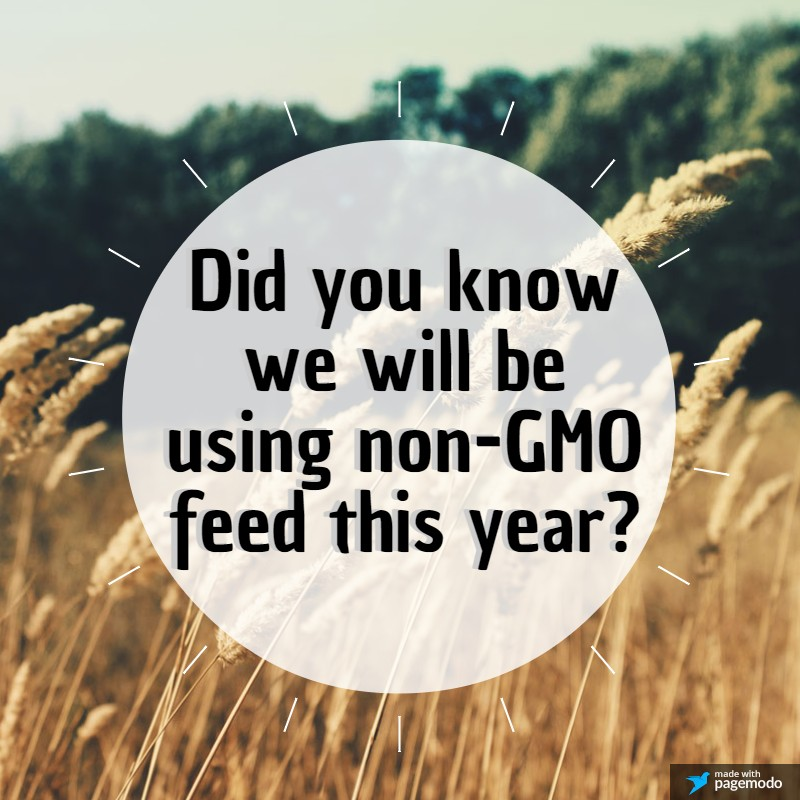 So that is about 4 months...according to the USDA research. The date that our eggs are laid is on each carton. We package our eggs the day they are laid. One thing to remember is that your eggs will only last if stored in refrigerator for 4 months. 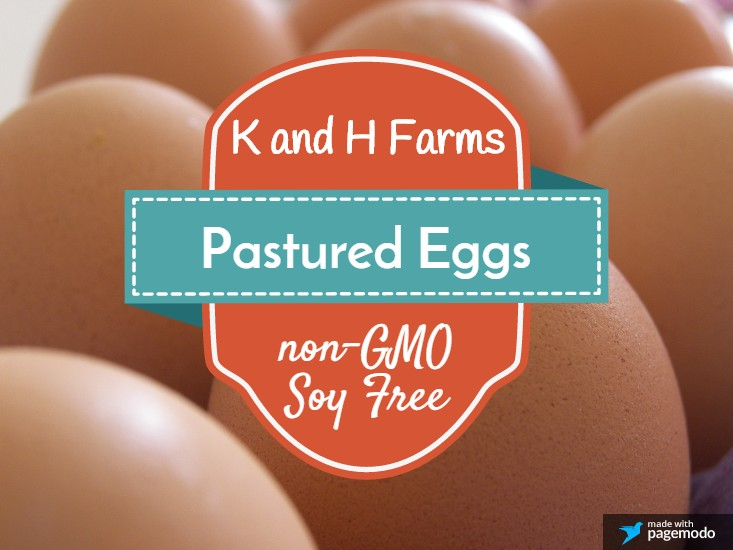 We will say from experience that our eggs have lasted up to 3 months from laid date for us. We keep our eggs in the refrigerator in the climate control boxes. One way to tell the freshness of eggs to put them in a glass of water. If the egg sinks, it is extremely fresh. If it floats on top, it is really old. Why does this happen? 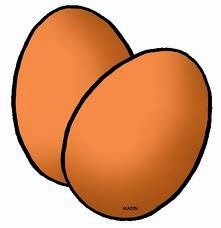 In an egg, there is a air pocket called the air cell. 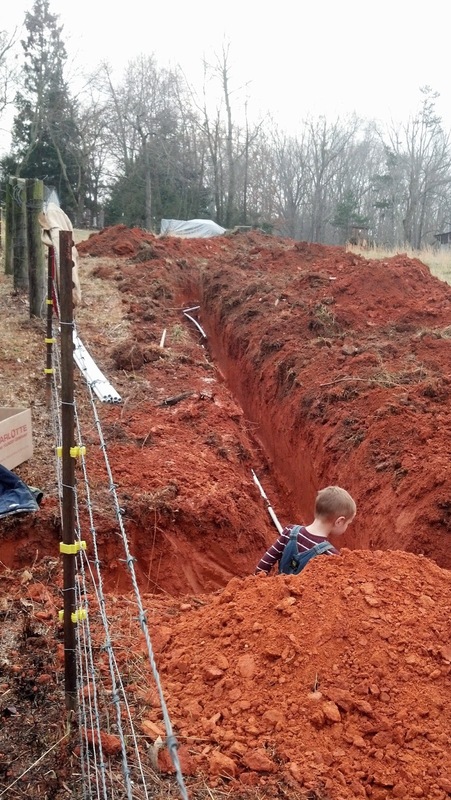 When first laid, the air cell is small. As the egg ages, the air cell increases causing the egg to float in water. The higher the egg floats, the older the egg. We feel confident in letting our customers know that our eggs should be good for between 3-4 months from their laid date on the egg carton. There are not many numbers that can make me happy more than the ones my son, Knox, brought home last week. Many times before he has brought others numbers home but none like these. The other numbers were not really bad, in fact, they were really good for him. But in a world that looks more at numbers instead of learning for life, he never had “good” numbers. If he could have get numbers for hard work or trying when he really didn't want to try anymore, Knox would have off the chart numbers. But teachers are not allowed to give those numbers out. Those numbers don’t show a student's “growth”, just his heart and determination. I see parents always showing off their children are getting awards because their child’s numbers where the highest. 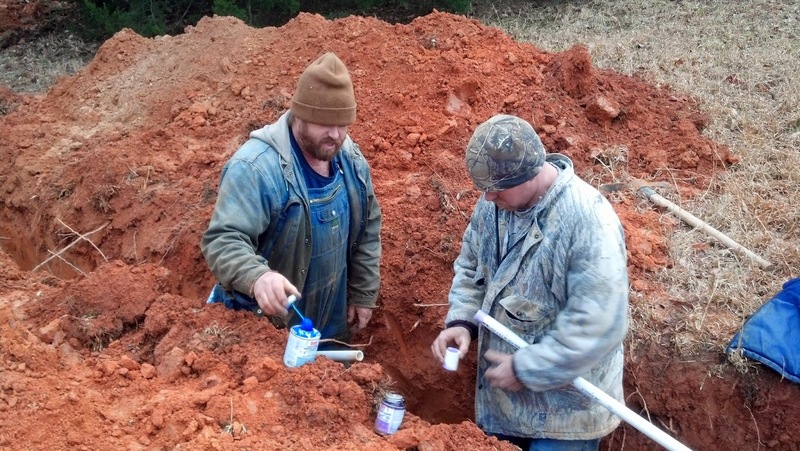 They talk about how hard they work. They talk of their pride at child’s achievement. What awards do parents who watch their child struggle to get their numbers up get to show off? What awards do parents who watch their child cry over and over because they struggle with concepts that all the other students get easily then after years their child gets barely passing numbers, where is that award for the parent to show off? Where are the awards showing a child’s constant determination? Where are the awards that show how much a student as “grown” in their numbers from year to year? Where are the awards for students who struggle but keeping working while everyone around them breezes by? Many argue that high achieving awards give struggling students something to strive for. These awards should, but when the same students are winning them over and over how can a struggling student compete? Don’t we all want to be recognized for our hard work? How can numbers show determination, heart and constant will power? Why do we use numbers that only perceive understanding and not the road to getting there? Great sports stories are not always the winners, but the ones of overcoming great struggles just to compete. Those are recognized by writers and the public. So why can we not recognize students in the same way? 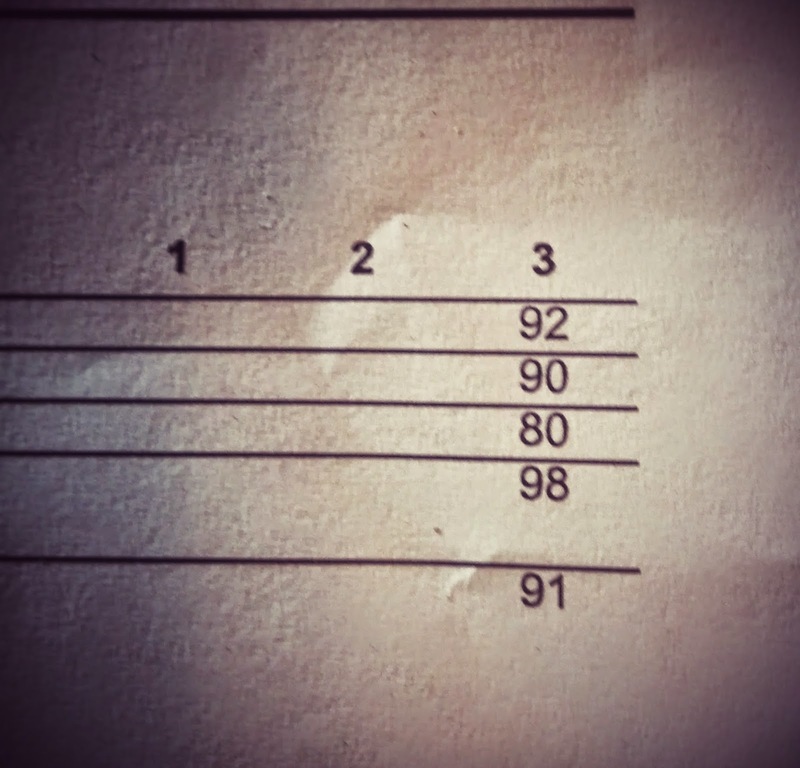 I’m not bashing students who work hard to get great numbers. These student deserve the recognition they receive. I want to only point out that we focus so much on the numbers that we forget the road to get there. Many of these students who bring in wonderful numbers, don’t know what it is like to struggle to the point of tears trying to get out that they understand what they are learning in the language that others can understand. Many high achievers don’t know what it is like to struggle for years to be able to finally succeed at a test that everyone else has accomplished with no problems. These high achievers don’t understand what it’s like to see your friends surpass you academically year after year to the point that you see yourself as dumb. I want us to realize that we need to reevaluate how we acknowledge numbers that students achieve. We need to look at the whole student and not just numbers. We want our teachers to do this but we continually have them look only at numbers. Not all achievement of learning can be measured in numbers. Heart and determination cannot always be measured with numbers alone. How do we measure this? I don’t know. I’m not saying that every student needs to be given an award of achievement; we just need to remember how to lift students up so that they will have the strength to overcome any weaknesses. For the one of the first times in Knox’s school career, my son brought home great numbers last week! We have switched to a new feed this year. 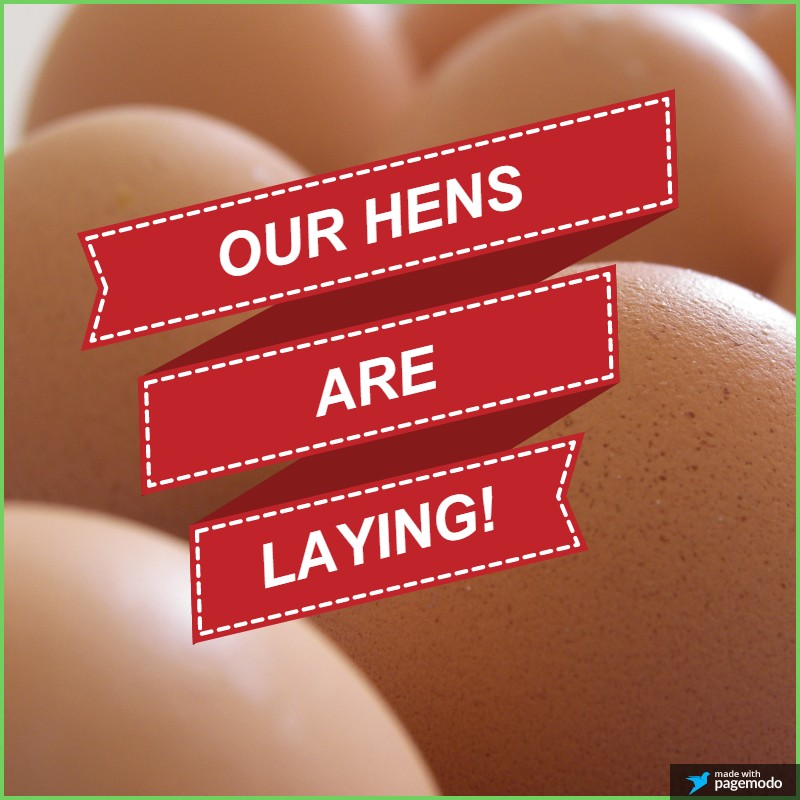 One that we feel will make our chickens healthier for them and for each of our customers! Subscribe to our website to stay up-to-date with the farm happenings!